Carnauba wax is extracted from the leaves of a species of palm tree native to Brazil. The thin wax film on the leaves is water-repellent and protects them from drying in hot sun. Found in extreme conditions, carnauba is the hardest known natural wax. Carnauba wax is used to reinforce oiled floor surfaces. The wax will join oil in filling the surface of wood pores, creating a protective film against mechanical damage, dirt and water. A floor treated with carnauba wax will be water-vapour permeable, which is important for maintaining the natural properties of wood flooring. Furniture wax and safflower furniture wax—mixtures of linseed oil and beeswax for interior finishing of untreated wood surfaces or surfaces primed with natural oils. Well-suited for furniture, doors, wood panelling and ceiling beams. Treated surface will be water-vapour permeable, antistatic, water-repellent and easy to maintain. The wax can be tinted with earth and mineral pigments. The clay-like consistency makes the wax very workable. It is applied with a soft cloth in 1–2 thin layers. Polishing the dried surface with a brush gives it a light silky sheen. Safflower furniture wax is made of residue-free beeswax bleached without chlorine. Beeswax is melted, cleaned and bleached with activated carbon and activated earth. It is mixed with safflower oil and stand oils, which results in a solvent-free and non-yellowing treatment for wood surfaces. Classic resin-free base oil for linseed oil paints for both interior and exterior surfaces. Small molecule size allows the linseed oil to penetrate deep into wood surface and fill even the smallest wood pores. This results in an excellent adhesive base for subsequent oil paint coatings. Base oil is suitable for all untreated wood, cork, natural stone and neutral plaster surfaces. When using in exterior conditions, the surface must be coated with Kreidezeit tinted wood lazure exterior (art. No. 320–324) or linseed oil paint (art. No. D1000–1007; D1500–1507). Easy to apply, dirt- and water-repellent. Produces an air permeable finish. 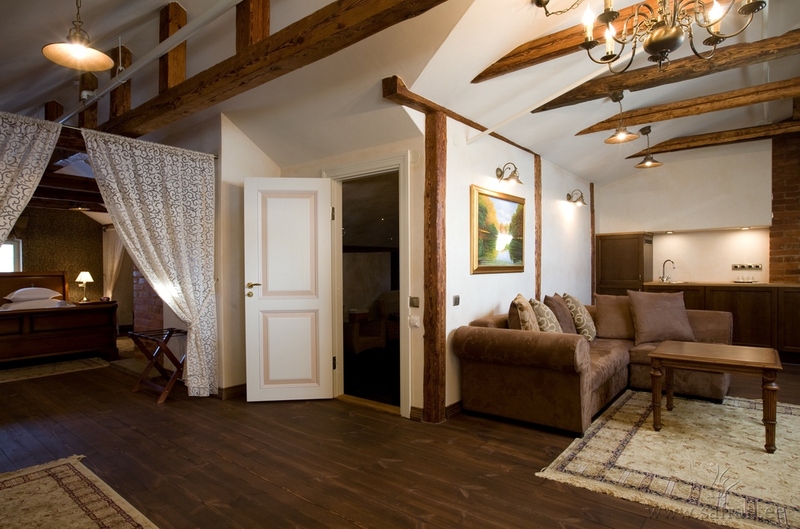 In order to maintain the characteristics of wood floors, it is necessary to provide them with a water-vapour permeable coating. Hard oil penetrates wood pores efficiently, creating an evenly durable surface. The oil makes the floor’s protective coating permeable, prevents it from cracking and worn spots can be treated locally, if necessary. Suitable for all untreated wood, cork and natural stone surfaces, especially for floors and other surfaces that require high durability, such as worktops. Finished surface is low-maintenance and water-repellent. Faded or ruined spots can be fixed exactly within the limits of wear. The product contains linseed oil, linseed oil-stand oil, tung oil-stand oil, turpentine resin oil, colophonium glycerine ester and lead-free drying agents. Hard oil can be tinted with natural pigments.